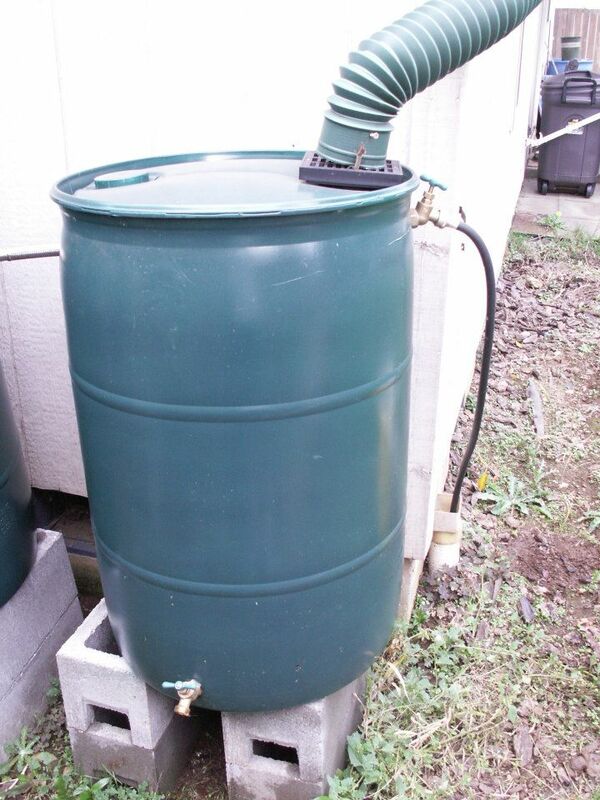 This is the finished rain barrel project. They have been up and running for several months and work like a dream. The water comes in from the drain spout and fills up both 55 gallon drums (there is another one daisy-chained to this one to the left). One they fill up completely the excess runs out the black hose on the right and down the storm drain. 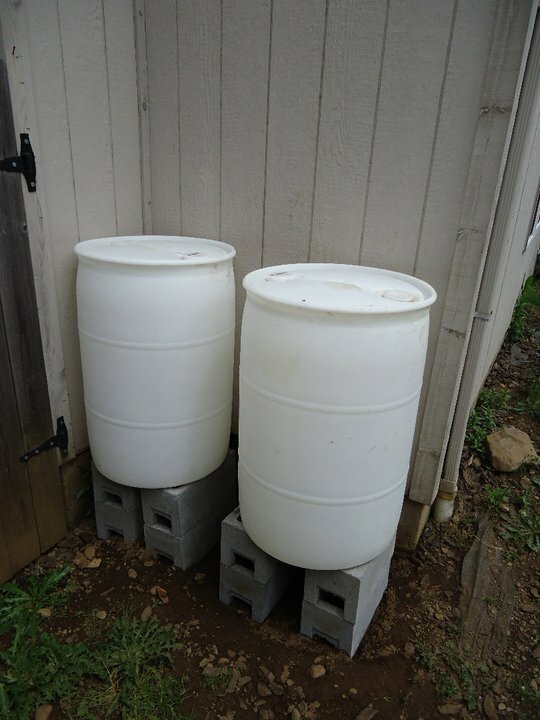 You can find food grade barrels like these on craigslist for about $20 per barrel.